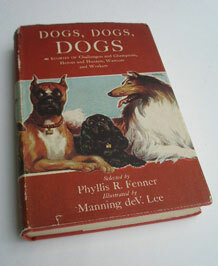 Here is a Chatto and Windus 1956 first edition of Dogs, Dogs, Dogs in its original dust wrapper. This is a selection of stories about dogs as Challengers and Champions, Heroes and Hunters, Warriors and Workers selected by Phyllis R. Fenner and illustrated by Manning De V Lee. It has 223 pages and five black and white illustrations. It is a hardback of red boards and a gilt title to the spine. 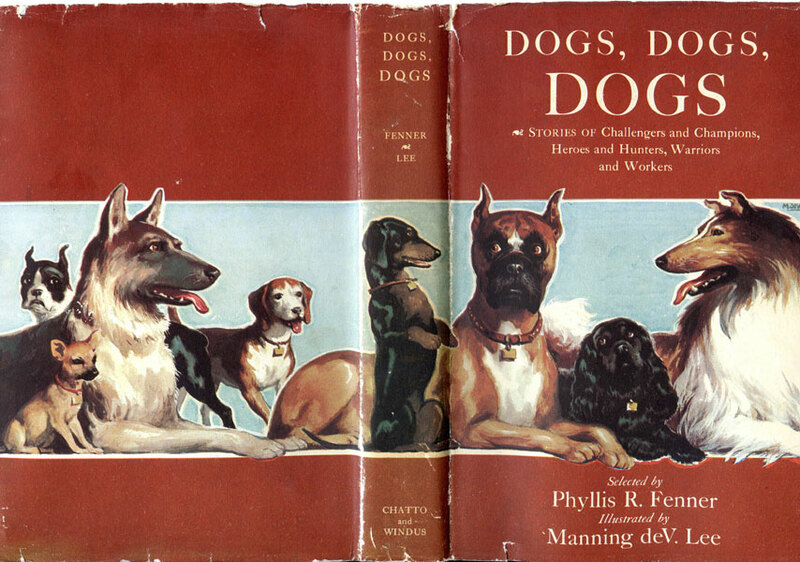 Dust jacket shows dogs to front back and spine. To quote the dust jacket "these are topnotch stories-- a natural for any reader who loves excitement and plenty of action. And for those who love dogs too well ! " CONDITION: Very good. Dust wrapper has very small tears to the edges mostly on the back. Overall the wrapper is clear and unfaded.